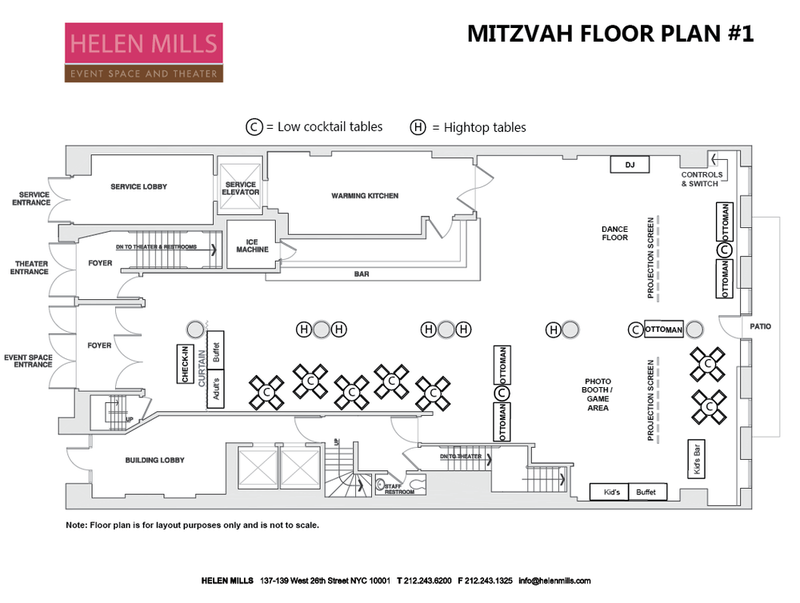 Located centrally in Midtown Manhattan, HELEN MILLS is the perfect space to host your son’s or daughter’s Bar / Bat Mitzvah in NYC. Featuring a spectacular and versatile 4,000 square foot loft-like Event Space, your guests, children and adults alike, will have plenty of space to have a great time dancing, eating, and simply celebrating this important milestone. The venue also features a 140-seat Theater, perfect for Bar / Bat Mitzvah ceremonies. Both spaces are outfitted with state-of-the art projection and sound systems and versatile lighting. HELEN MILLS is a full-service venue with a number of all-inclusive packages. Our experienced team is here to support you through the planning process. 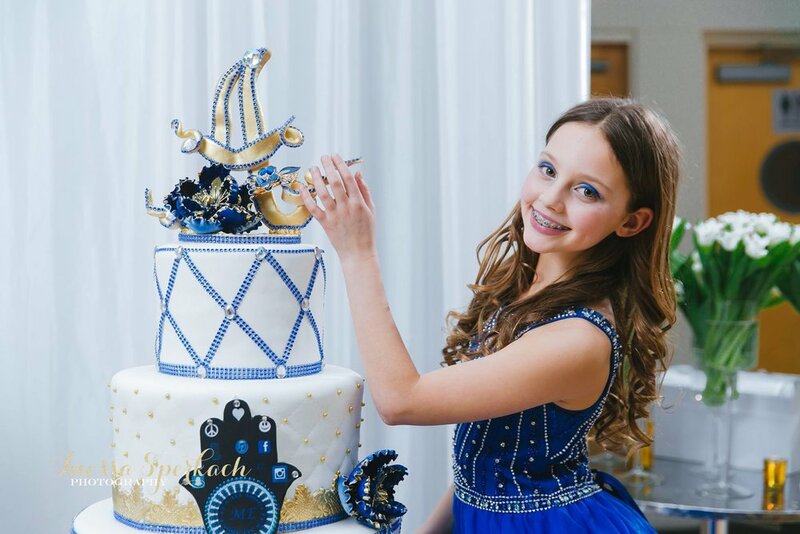 See photos from recent mitzvahs here. 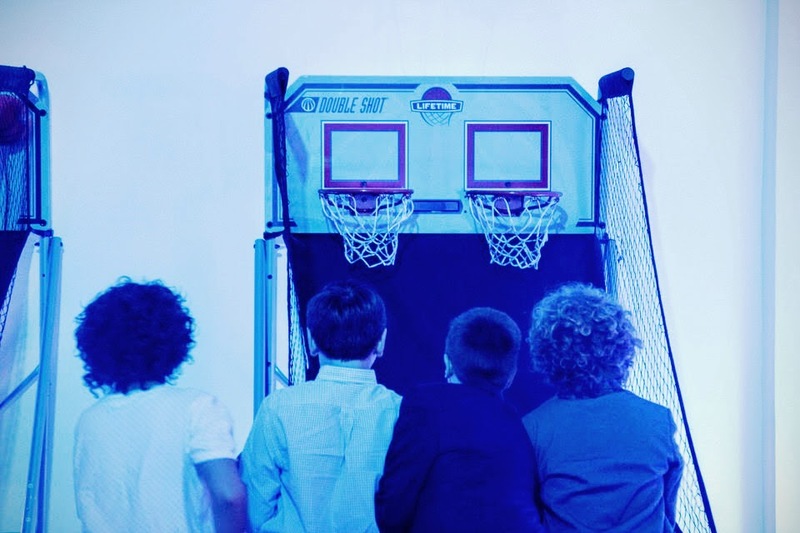 Up to 160 guests for mitzvah celebrations, which includes room for a dance floor and dj setup, games, and catering. Our 140-seat theater is available for ceremonies. 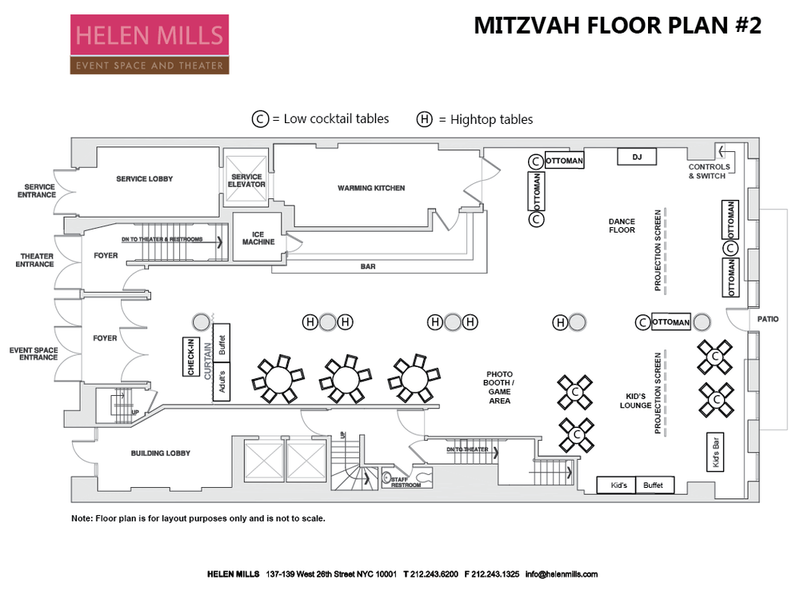 See below for sample floor plans and here for a virtual venue tour. 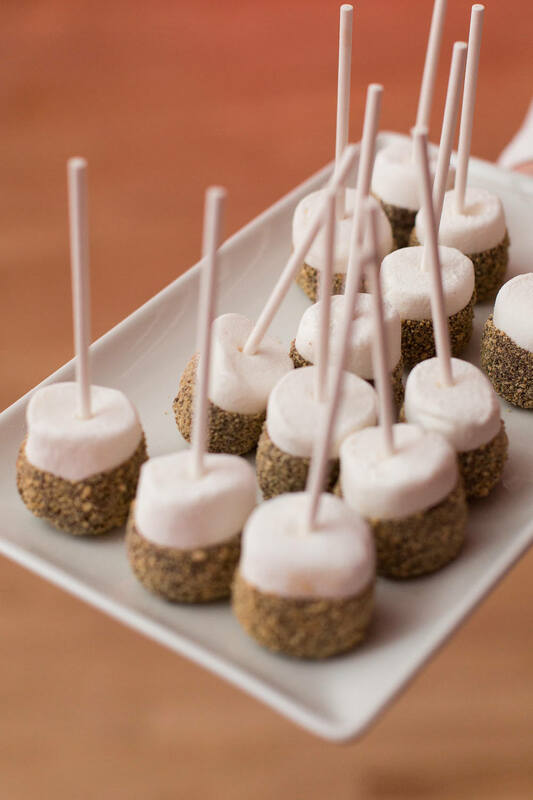 We offer all-inclusive catering packages to fit your party's needs, from cocktail receptions to buffets to ice cream sundae stations. We also offer a variety of beverage service options, including a full bar with an assortment of premium brands and local craft beer. 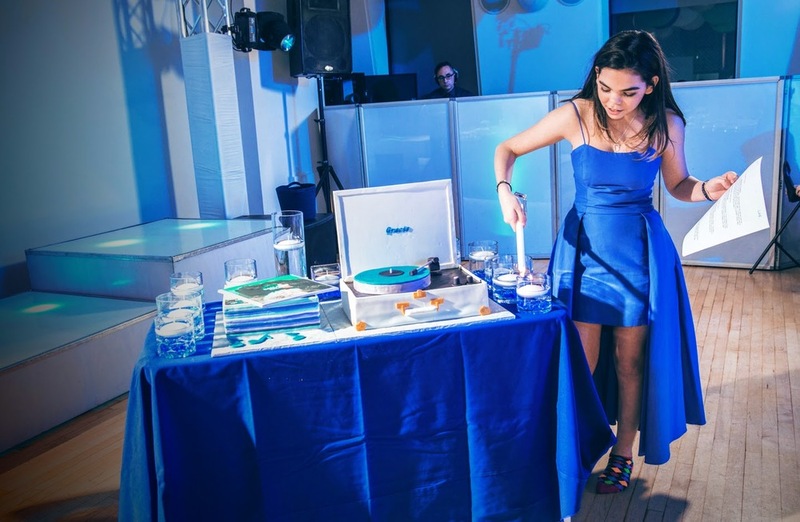 Check out our list of recommended vendors, including DJs, photographers, entertainment providers, florists and more. Our planning guide offers tips and inspiration from past events as well as more information about the space. 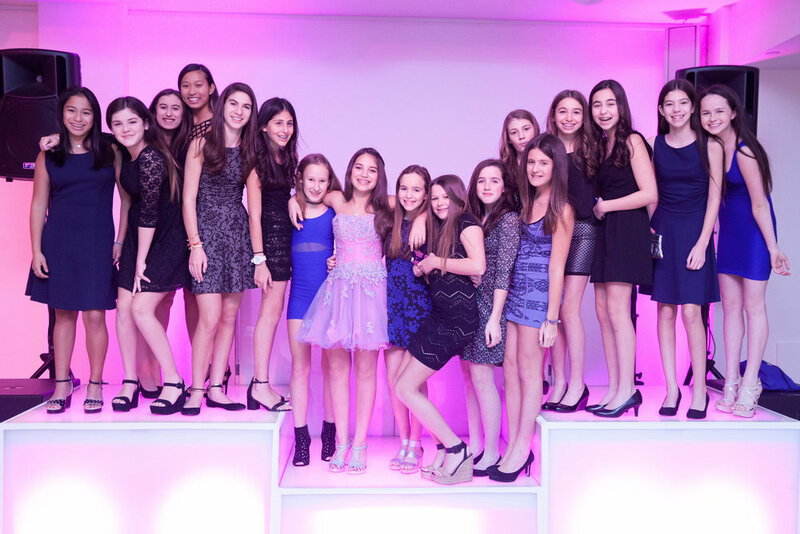 For more, see photos and details from recent bar and bat mitzvahs at HELEN MILLS on our blog.